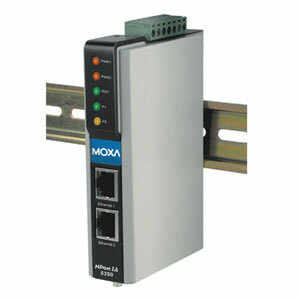 This Moxa NPort IA5150 serial to Ethernet converter (serial device server) is a true industrial pro-grade converter. Anybody familiar with the Moxa brand will recognize the high quality and performance of this converter. It has all the required basic functions including all standard basic network protocols, RS232, RS485 and RS422 interfaces, virtual COM software, ESD protection for all data lines, web configuration utility and much more. The built-in relay output can be used to alert the user of problems with the Ethernet links or power inputs, or when there is a change in the DCD or DSR serial signals. The web console indicates which Ethernet link or power input has failed, or which serial signal has changed. An e-mail warning can also be issued when an exception is detected. These functions are valuable tools that enable maintenance engineers to react promptly to emergency situations. Redundant power inputs for a secure power supply. 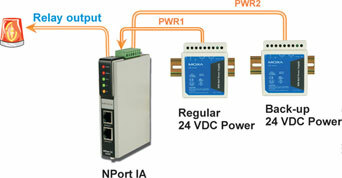 The NPort IA5150 device server has two power inputs that can be connected simultaneously to live DC power sources. If one power source fails, the other source takes over automatically. Redundant power inputs help assure that your device server will operate non-stop. 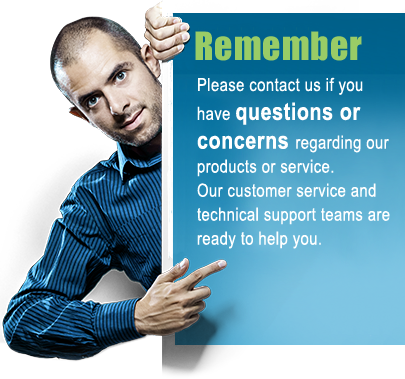 Each device server have two Ethernet ports that can be used as Ethernet switch ports. 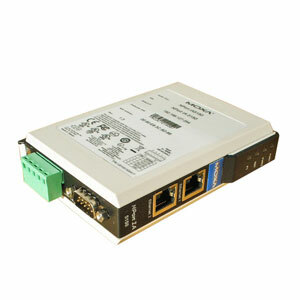 One port connects directly to the network or server, and the other port can be connected to another device server or another Ethernet device. 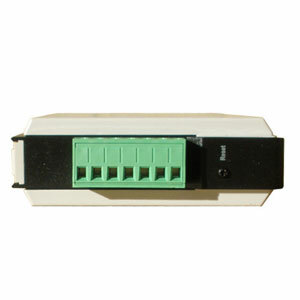 The dual Ethernet ports help reduce wiring costs by eliminating the need to connect each device to a separate Ethernet switch. IP30 rated housing for mechanical protection. 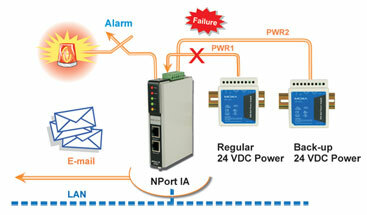 To ensure safe and reliable operation in industrial environments, the NPort IA5150 device server has obtained various industrial certifications, including an IP30 rating for mechanical protection, UL508 safety certification for industrial control equipment, and explosion-safe certifications for hazardous locations. Certifications include UL/cUL Class 1 Division 2 Groups A, B, C, D, ATEX Class 1 Zone 2, and IECEx Zone 2. Two and four wire RS485 modes. 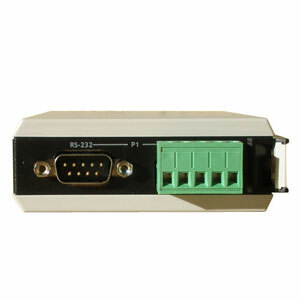 Regardless if your serial device is using 2-wire RS485 or 4-wires RS485 you can use the NPort IA5150; either 2 or 4 wire RS485 connects directly to the interface without the need for any modifications.